Tell your Senators to Support Saving Saturday Delivery. 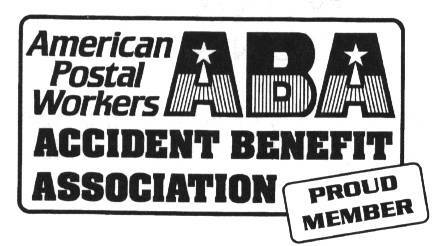 The APWU has produced material to help union members spread the word about how the Postal Service’s plan to end Saturday mail delivery would harm American citizens and businesses — and jeopardize the USPS itself. The union has prepared a flyer [PDF] to help locals alert the public about the dangers of ending Saturday mail delivery. A four-page fact sheet [PDF] that sets the record straight about the Postal Service’s financial predicament — and how to fix it — is appropriate for distribution to elected officials and news outlets. The union also has prepared a sample letter to the editor [members only], which APWU members can adapt to help ensure that our message is heard in the media, and a sample letter to members of Congress [members only]. Local officers who wish to conduct informational picketing or other activities can request printed copies of these materials by contacting Sally Davidow, APWU Communications Department senior manager, at sdavidow@apwu.org. For more information, visit the Saving Saturday Service pages at www.apwu.org. 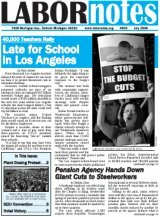 Tell Congress to support HR 22 - Save the USPS - APWU link to send an e-mail to your representative. Click here for copy of HR 22. USPS, like every other entity in America, is facing severe economic challenges. Without relief, the postal service would be forced to make very serious changes to it's business model that potentially devastates employees, mail volume, and postal customers. HR 22, a bill introduced in the House of Representatives by Representatives John McHugh of New York, and Danny Davis of Illinois, would be extremely helpful in providing some needed help. The Postal Accountability and Enhancement Act of 2006 require the Postal Service to make an annual payment ranging from $5.4 billion to $5.8 billion from 2007 to 2016. In addition, under the Act, USPS makes an additional payment for its current retiree health benefits until 2016. HR 22 would allow the Postal Service to pay its retiree health premiums out of the Retiree Health Benefits Fund, rather than make a separate payment from its operating budget. 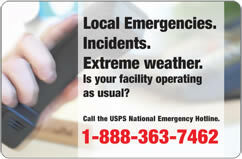 Please take the time to ask your Representatives and Senators to support financial relief and flexibility to the USPS. Without it, the Postal Service would be forced to consider drastic actions (some of which have been addressed in the media in recent weeks), that we should hope to avoid. The United States Postal Service faces the most dire economic conditions in its history. A requirement that the USPS pre-fund retiree health care benefits for future retirees, as well as continue to pay for current retirees has placed the postal service in a serious financial position that is difficult to sustain. A provision of The Postal Accountability and Enhancement Act of 2006 (PAEA) requires the postal service to pay into the Retiree Health Benefits Fund upwards of $5.4 billion per year until 2016. No other agency or major American company is required to pre-fund the retiree health benefits of its employees. This bill simply allows the USPS to make these payments from the fund now when the relief is needed most, rather than wait until 2016 to begin funding these benefits from the Retiree Health Benefits Fund as provided for in the PAEA. The fund currently has a balance of over $32 billion. Representatives John McHugh (R-NY) and Danny K. Davis (D-IL) have introduced H.R. 22, legislation that would permit the Postal Service to make the payments for pre-funding future retirees health benefits from the Retiree Health Benefits Fund. If passed, H.R. 22 would provide needed financial relief to the Postal Service, while at the same time continuing to pay mandated payments for retiree health benefits. We have provided a message to your elected Representatives on the APWU Legislative Information Center for your use. Please go to that message by clicking on the link below this message and send an e-mail asking them to cosponsor, support, and vote for H.R. 22. As always, working together we can make a difference. If you have any questions, please contact the Legislative Department at (202)842-4211.